While purchasing new equipment may seem like the best choice for your business, in many cases the used market can offer a more economical and effective solution. 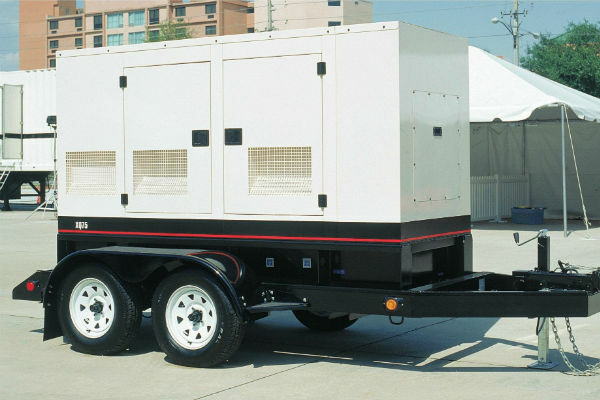 Used generator sets and related equipment from Michigan CAT make the most sense for businesses that are operating on a limited budget, looking to replace older units or serving applications that do not require the latest technology. If you’re in the market for a productive and reliable electrical generator and wish to avoid the large expense of buying new, we’re the trusted source for a broad range of competitively priced used power systems. Michigan CAT offers high quality used generator sets and other equipment manufactured by Caterpillar® and top brands. All our used equipment is thoroughly inspected by highly trained technicians to ensure it meets stringent quality standards. You’ll find low-hour, late-model used Cat generators in like-new condition in addition to well-maintained, older used power systems that will perform well for years to come. As an authorized Cat dealership serving Michigan and the surrounding regions, we carry one of the best selections of genuine used Cat power systems. Our used generators are built to last with high-quality materials and replaceable components. Used Cat gen sets offer the reliability, durability and efficiency you require at a greatly reduced price and can be configured to your particular application and regulatory environment. It’s our goal to take as much of the time, worry and expense out of purchasing used generators as possible, so you can concentrate on running your business. We offer a large selection of competitively priced power system solutions backed by the best customer service and ongoing technical support in the industry. Our highly trained team is capable of offering expert advice to help you identify the products that represent the best fit for your business. 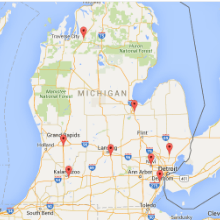 Michigan CAT is continually adding generator sets and power equipment to our used inventory. We can also help find the specific models you’re interested in through our extended dealer network. If you need a used generator set or other related equipment, please contact our friendly and knowledgeable sales staff. View our used equipment inventory at MacAllister Power Systems. You may also contact us online by submitting the request form on this page for a prompt response from an experienced live representative. We are here to serve you, and we’ll do everything we possibly can to meet your needs.